I am relatively new to Facebook ... using it mostly to keep up with all those things that Facebook uses to distract you from the real world, it seems! However, just recently I discovered that there were some Facebook groups comprised of people who have had transplants of all kinds, liver, kidney, kidney and pancreas, lung, double lung, heart, and multivisceral (liver, kidney, pancreas, large and small intestines). Of course, there are even more types, such as corneal, islet cell and stem cell transplants, bone marrow transplants, and ... well, science just keeps on providing us all kinds of new ways to stay alive a little longer each day. Two groups which I have joined (Both are "closed groups," which means you have to ask to join in order to follow posts to the page) have become some of my favorite places to be when it comes to all that Facebook has to offer. This FB group, Organ Transplant Survivor, is watched over by Joe Kralicek, who sees to it that the posts stay on topic and that it is a place where transplant recipients, family members of donors, and pre-transplant patients can come and ask questions and get news about what being a transplant patient and survivor is all about. "A friendly group of organ transplant recipients, donors and family members where you can find support and insights into all things transplant. Founded by Andre Gonzalez in 2008, a two-time Liver transplant recipient, he and many others are here to provide information, spiritual support and advice. We have all types of transplant recipients here and you are welcome to share your transplant experiences, ask questions and come to know that you are not alone with your transplant ... "
With nearly 6,700 members from the United States and all over the world, it is a very good place to get support and advice from those who have "been there and done that," even if you can count yourself among those already. "We are an online support group of individuals and families who are recipients, are waiting for a transplant, are donor family members, caregivers, or those who have a connection with organ donation and transplantation. "We meet online to discuss health issues related to our experiences, share our personal stories, and celebrate milestones in our lives. "We welcome opportunities to offer encouragement to others who have been given this Second Chance at Life but who may be experiencing health or emotional difficulties and want our support. "To offer thanks to our Donor Family members who gave us The Gift of Life. "More than 20,000 are performed in the U.S. each year, but 120,000 people currently need the operations and more than 6,500 die waiting." With more than 5,800 members there is a lot of news and support to be found at this group as well. There may be more, and I am sure there are, but these two have so far kept me pretty busy at posting, reading and replying about all I am curious about when it comes to the world of organ transplantation. In developing the lists of links you see at LiveringProof.com, I accidentally discovered an interesting site established by the University of Pittsburgh. 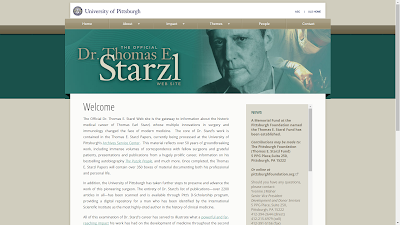 The site honors one of the most famous surgeons of modern history, Dr. Thomas E. Starzl, who is considered to be the "father of liver transplantation." Dr. Starzl just recently (March 7) passed away at the grand old age of 90, and one might say he has multiple lifetimes of accomplishments to his credit, not to mention the number of lifetimes he has extended thru his research as a scientist and his skills as a surgeon. If you are interested in the history of organ transplantation there is plenty to find at this site. I remember when most any kind of organ transplant was considered to be experimental, even when entirely successful. Success used to be measured in just in getting a transplant recipient beyond a year of life with their transplanted organ. Literally millions of years have since been added to what would have been the natural lifetimes of the people who have received the benefit of an organ transplant. Despite this success, one must be reminded that if not for the thoughtfulness and kindness offered by so many donors and their families along with the loss of the times of their lives with their friends and family, none of the successes of organ transplantation would have been possible at all. Now, almost fifty years later, just over 149,000 liver transplants have been performed in the United States alone. A majority of recipients are living much longer than just a year and certainly longer than an organ transplant had not been an option. Kidney transplants are far more common and when one adds the hundreds of thousands of all human organ transplants which have taken place around the world, organ transplantation seems "commonplace." One could say it is a wonderful time to be living in such a "commonplace" world. I do. My name is Philip. At the end of 2013 I was unfortunate enough to be so ill that I needed a liver transplant ... yet I was fortunate to be able to qualify for and receive a liver transplant in the late summer of 2015 at Indiana University Medical Center (or University Hospital) in Indianapolis. As a result I, along with many others, can say that we are "livering proof" that the organ donation system in the United States does and can work for anyone, all due to the thoughtfulness of just one person, the organ donor. If you want to know more about what it is like to get a organ transplant in general or at University Hospital in particular, this is a place to discover more from at least one patient's perspective, mine. Yet if you are new to the world of needing a liver transplant, you are not alone, by any means. As I write this nearly 149,000 people have had a liver transplant, and that is just in the United States. Just think what the number must be when all liver transplants from all around the world are taken into account. The links to the right are arranged by topics that should help you to get to some interesting websites, which are arranged by topics that should be helpful to anyone who is in need of a transplant or just curious about the many issues involved in getting one. You might think of them as a "transplant toolbox" of websites. The following items are the links that will take you to some more recent stories and news about the transplanted world. Giving Life: Organ Donation in Australia, in Pictures (2016). These and even more such stories can be found at my Pinterest board (Transplanted!) or at my Twitter feed (Transplant Stories). Marijuana can cause health problems, if you smoke it and need a transplant. Some criminals in prison need transplants and can't get one, and China has executed prisoners for people who need an organ transplant. These are just some of the controversies involved in the U.S. and around the world with regards to organ transplantation. 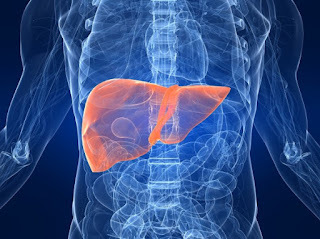 Ursodiol (mentioned in these articles) is a drug used by liver patients pre- and post-transplant, and it is one of those drugs which has made the news of late due to inordinate price increases, especially for a generic drug. Hepatitis C has historically been the cause for the need for most liver transplants, but with a cure now available, NASH is ready to take its place as the number one "liver killer." Working on it . . . This is the week of my first transplantiversary or transplanniversary. To be more specific it is my liversary or liverversary. I prefer liversary. Whatever you call it, it has been nearly one year from the day recorded as "Day 0" in the medical history of my liver transplant. It was only a year ago this week that I woke up clear-headed and refreshed on the fourth floor of Indiana University Hospital, in the Transplant Intensive Care Unit (TICU). I had just "come to" after a long day of waiting and a night spent in surgery. The day before I arrived at the hospital at noon after receiving a 10:30 phone call. It was "the call" that informs you that a liver is ready and that you are next on the list. I arrived at the hospital at noon spent most of the day waiting in the Outpatient Transplant Unit (OTU). All of the bays were occupied, but I soon figured out that none of them were waiting for a liver as they were all eating. The call came just before I was about to eat a late breakfast, and so I was hungry and got hungrier as the day progressed. One by one all the other patients left and at 5PM the nurse in charge signed out and told me a surgeon would come to let me know when they were about to go and fetch the donor's liver. The next person I saw was a "fellow," a surgeon-in-training, who began to tell me all about what was to come next. I mentioned to him that I was waiting for someone to come and tell me when they were going to go and get the donor liver. He told me he wouldn't be there if it hadn't already arrived! And so, at about nine hours after I had checked in, I a nurse asked me to take a seat in a wheelchair and I was taken on a late-night ride down to the basement and into the operating room. It was a whirlwind of activity upon entering the OR. I got up and onto a gurney and they started to prep me for anesthesia. They quickly put me out and the next thing I remember is waking up in the TICU and looking down at my abdomen where there was this long scar. I had known pretty much what to expect as far as incisions and scars go. Oddly enough, my first thought was, "Gee, that's pretty!" (Some have said that was the effect of pain killer, but I don't think so). I can remember most of what happened to me in the hospital over the seven days which followed. But how did I get to be there in the first place? I remember that, too. It was on December 6, 2014 that a doctor first told me that I had scarring, or more precisely, cirrhosis of the liver. That prognosis came with a whole list of other complications, including an inflamed gall bladder, a gall stone, an enlarged spleen, and many other complications, the names of which I had never heard of before. Any one of them alone would have caused at least a little worry, and so many problems at once came as a bit of a bombshell. I dealt with the symptoms as best I could. There was nothing that could be repaired, there was no turning back of the clock. I was given a referral to a gastroenterologist at a local hospital. He had me go thru a series of exams and procedures to determine the extent of the damage and maybe even the cause. I hadn't been to see a doctor much at all in twenty-five years and so all the probing and poking that was to come was all a bit unnerving, to say the least. A colonoscopy, an upper endoscopy, a paracentesis, and a liver biopsy were scheduled and performed in the next few months. The liver biopsy was the gold standard by which other tests were measured and was the last of the set. A set of reports for all the test and procedures that I had "endured" was sent to the good doctors at Indiana University Hospital for review. IU Hospital (aka University Hospital, IU Medical Center) is the only transplant center in the state for liver transplants and so it was THE place for me to go for a liver transplant. Initially, I didn't go to IU with the idea of actually getting a transplant. I just wanted to know what the cause of my cirrhosis was and if there was anything that could be done about it. I wanted a second opinion. During my first appointment In November 2014 to see IU's "main man" for adult liver transplants I was told that my liver was "destroyed." That pretty much limited any idea of fixing what I had. Radiology reports described my liver as shrunken, nodular, and leaky. My IU hepatologist had determined the cause to be NASH or Non-Alcoholic Steatohepatitis, something that more and more people were afflicted with in the U.S. and especially Indiana. It is the leading cause for the need of a liver transplant in Indiana and may soon be for the nation. The doctor said that my liver and I were like an old car driving down the road with smoke coming out from under the hood, only that I had no oil left to keep it going for much longer. Provided nothing changed drastically for the worse, my liver only had a year, maybe two, to go. That meant that I only had a year or two go go, even though he didn't put it that way exactly. There is no dialysis for the liver like there is for a kidney. A transplant was the only option. It wasn't a cure. But it was the only treatment there is for Stage 4, or End Stage Liver Disease (ESLD). I will end here for now, but the story obviously is a bit longer. I did get the transplant and in the process of writing a letter to my donor's family I tried to come up with a narrative to tell them of where I had been and where I am going, all due to their generosity. Looking at what I had written made me think that my experiences or story be something others may be interested in: how one gets to be in the position of needing a transplant, how to go about getting listed for one, and how things turn out for the better, for the most part, after receiving a transplanted organ. So keep a lookout for more postings to this blog and maybe you will learn a little or a lot, whether or not you will ever have to face the need for any kind of organ transplant. In 2015 I was fortunate enough to receive a liver transplant at Indiana University Hospital. My name is Philip, and I and many others can say that we are "livering proof" that the organ donation system does and can work for anyone, all due to the thoughtfulness of just one person, the organ donor. If you want to know more about what it is like to get a organ transplant in general or at University Hospital in particular, this is a place to discover more from one patient's perspective. Getting Educated about Your Health . . . or What Is Left of It!